One of the most prolific and distinctive voices in the Nigerian music industry, Faze, born Chibuzor Oji, has been in the game for a long time, pushing out several hits and jams for the listening pleasure of his overwhelming fans. Over the years, Faze has continued to impress us and we can’t hold back our love for him and his career, having turned his voice to an extraordinary sound. Despite his popularity and height in the music community, Faze has always cherished his privacy as much as he loves the success his talent has brought his way. 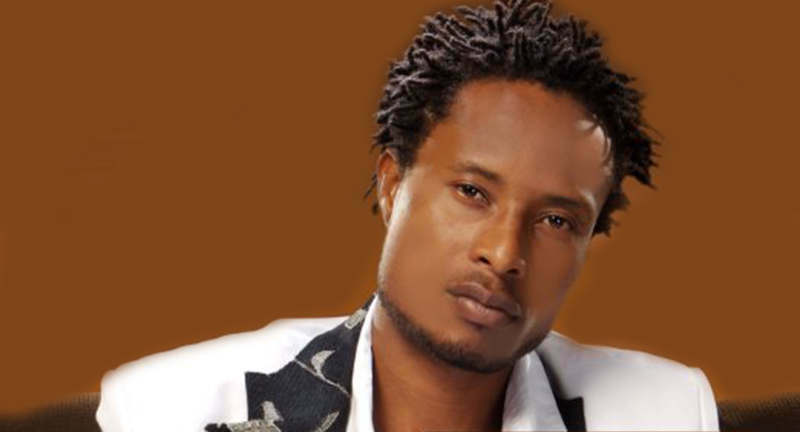 The singer was named Chibuzor Oji by his parents after he was born in 1977, in Festac Lagos State, Nigeria. As someone who loves to keep his private life under wraps; Faze hardly shares information about his family background with his fans and this, of course, has led to varieties of speculations from the public. A site like Wikipedia, however, reported that he has eight siblings, who are all blessed with good voices, which they usually show off during family prayers. Though Faze was born in Lagos, he is of Delta-Igbo origin. Faze kicked off his musical career in 1995 after he got connected to the duo 2face Idibia and Blackface through a friend called Ifeanyi. His first recording was titled: Can’t Live Without Your Love while his debut album was titled “Faze Alone.” As a member of the Plantashun Boys, Faze released four albums titled: “Sold Out” (2003), “Body and Soul” (2000), “Plan B” (2007), and “Body and soul Volume II,” with the group and later, dropped Faze Alone in 2004 after the group disbanded in the same year. Other albums that came from his solo career include “Independent” (2006), “Originality” (2008), and “ReFAZEd” (2012). Chibuzor has also banded together with international stars like Akon, Beenie Man, and Wyclef Jean whom he featured in the hit single Proud To Be African. Oji is one of the music industry’s artists who holds an impressive record on singing and acting. With just one successful movie to his name and many more ahead of him, Faze stands a chance of expanding his fame additionally in front of the camera as well. Faze’s first acting role came in 2011 when he was cast as the lead male character in the universally acclaimed movie Alero’s Symphony. In addition to his role in the movie, the singer also provided the film’s soundtrack which earned him an award in the category of Achievement in Soundtrack at the 2012 Africa Movie Academy Award. He has represented mega business brands such as Star, Guinness, Sprite, Globacom, and many others. It is believed that part of his wealth came from these endorsements. Faze was previously signed to the record label Westside Records, Nigeria. His stint with the label began in 2004– and came to an end in 2006. In the same year, he launched his personal record label called Independent Entertainment through which he releases all his songs. Having gone beyond his own recordings to managing and running his own label, it is very safe to say that Chibuzor is in for serious business in the music community. The singer-songwriter’s thriving musical career has raked in over 24 reasonable nominations and three major wins. Here’s an incomplete list of Faze’s musical nominations. Talking about the awards Oji has walked home with ever since he launched his career in 1995, he is a proud recipient of the following awards. From a career he has always admired right from his younger years, Chibuzor Oji has amassed sizeable assets valued at $2.5 million, as of 2017. It’s no news that Faze has been a married man for years but what is not known authoritatively is the name of his wife, her state of origin, family and educational background, date/place of birth, what she does for a living and whatnots. In the same vein, information about the couple’s marriage, including the location and date of their wedding is not detailed online. The singer is yet to share with his fans if his marriage to his sweetheart has been blessed with children or not. See Also: Brymo Bio, History, Career Achievements, What Is He Up To Now? While BuzzNigeria is yet to interview Faze for more information on what his family life looks like, unverified sources claim he has been in a longtime relationship with a lady called Sandra. Though we are yet to find out if Sandra, a model, ended up as his wife or if he actually walked another woman down the aisle. Faze’s birth/sun sign is currently unavailable, as information about his birthday and month is not detailed online. We promise to inform you once he releases them to the media. The Lagos-born is one of the music industry’s marijuana-free entertainers. Sometime in May 2011, American rapper/actor/record producer Trevor George Smith Jr., popularly known as Busta Rhymes, disclosed that Faze is his favorite African hip-hop star.